The government organization that oversees the popular HARP refinance has extended the program by one year. Homeowners now have the chance to refinance their underwater mortgage until December 31, 2016. The previous deadline of December 2015 started to loom large for homeowners who had not yet tried or were not yet able to qualify for HARP. The program was extended with just over six months of life remaining. Underwater homeowners now have over 18 months to take advantage of nearly record low current mortgage interest rates. HARP stands for Home Affordable Refinance Program. It allows homeowners to refinance into today’s lower rates even if they owe more on their home than it’s worth. Most homeowners know this situation as being “underwater”. After 2008, home prices plummeted. Millions of families bought homes they assumed would hold value. Historically, home prices have gone up, not down. A house is typically an appreciating asset, unlike a car, bicycle, computer, or just about any other purchase. With this mentality, homeowners bought up homes only to see values drop almost overnight. The housing market had become too speculative, and lending was too loose. People financed nearly 100% of their home’s price and often opted for loan products for which only interest was due. Home prices dropped and families everywhere suddenly owed more – sometimes a lot more – than their home was worth. Enter the government. Mortgage finance giants Fannie Mae and Freddie Mac were taken over by the federal government who quickly mandated them to remove some hard and fast lending rules. For all of home lending history before HARP, the borrower could not get a home loan if they owed more on their home than it was worth. A bank or lender would have laughed an applicant out the door if they requested a $200,000 loan on a $100,000 property. But that’s exactly what the government allowed banks to do. The current loan must be owned by Fannie Mae or Freddie Mac. The borrower must owe more than 80% of their home’s value. The borrower can’t have any payments 30+ days late in the last 6 months. Borrowers can’t use HARP on the same property twice. Homeowners who have not yet taken advantage of the program can get a free quote and check their eligibility online. Click here for a free rate and HARP-alternative eligibility check. The Federal Housing Finance Agency, or FHFA, estimates more than 600,000 homeowners could benefit from HARP, but simply haven’t used it yet. Here are some of the common reasons families have not used HARP in the four years it has been available. 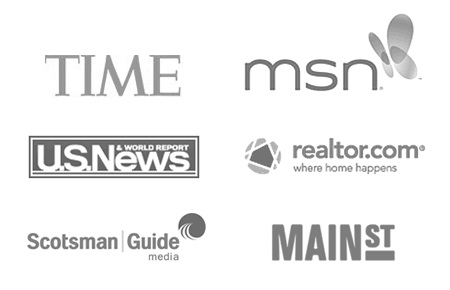 There are numerous government programs going on simultaneously to help with the housing recovery. Many of these options target homeowners at risk of losing their homes due to delinquent payments. Some homeowners assume HARP is this kind of program. Quite the contrary, HARP is only for homeowners who have not been late on any payments over the last six months. Homeowners must have a good credit score, typically 660 or higher. In addition, HARP applicants must have adequate income to support the new, lower payment. In short, homeowners must qualify for all other aspects of a traditional refinance, except in regards to their home’s value. When housing prices dropped in 2008 and 2009, it did not just affect housing. A system-wide spiral occurred in which people lost jobs, bills went unpaid, non-essential buying stopped, which led to more lost jobs. Millions suddenly could not pay their credit cards, auto loans, and of course home loans. Missing just one payment on a single credit account can drop a credit score by 100 points or more. Those who had multiple accounts in arrears saw their credit scores crop from 700-800 down to the 400s. A score below 600 can take years to rebuild. The good news is that the economy has rebounded. Families are getting back to work and rebuilding their credit profiles. This is why the one-year extension on HARP is so valuable. Many families need the extra time to improve their credit scores enough to qualify for HARP. Better credit causes a virtuous cycle. Borrowing costs go down, leading to more manageable monthly expenditures, again leading to fewer credit mishaps. A lower house payment, thanks to a good credit score, is the single most important factor to improving a family’s budget. Click here to have a lender check your credit now. Some people are natural procrastinators. They know they can qualify for HARP and have even watched rates drop. They know they can save $200+ per month, but have just “not gotten around” to pulling the trigger. There’s probably nothing I can say that will persuade them toward action. So I won’t say any more except that rates are now on the rise. Even though HARP is extended until 2016, there’s no guarantee rates will stay low enough to make the refinance pencil out. Still others are afraid of the refinance process. There will be too much paperwork and the lender will hassle them endlessly. Lenders are eager for HARP business. Typically there’s no appraisal required, and most applicants only need to provide a paystub, W2 and a few other pieces of documentation. The approval process is not only easy, but quick. Whether out of procrastination or fear, homeowners owe it to themselves and their families to get motivated before rates rise. If rates increase too much, HARP becomes an existing but useless program. Click here to start the HARP-alternative program process now. The extension is a done deal. 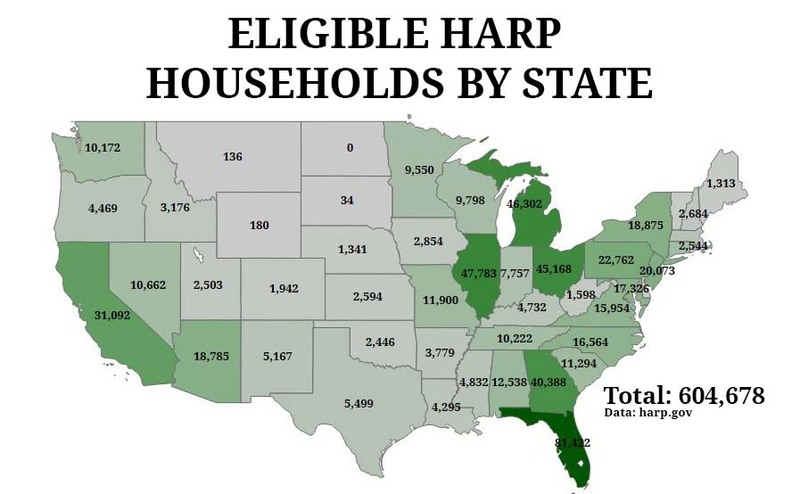 Homeowners can use HARP until the end of 2016. But there’s no reason to take that long to use the program. Once rates rise too much, the extension won’t matter. Get started on your HARP refinance. Click here for your free HARP-alternative rate quote now.